Panaji, Oct 12 (IANS) Piracy in the Indian Ocean is under control, but the threat of piracy cannot be “totally ignored”, former Defence Minister and Chief Minister of Goa Manohar Parrikar said on Thursday. Parrikar said rising water levels due to climate change posed a significant threat to coastal countries as well as island-states. “The trade, which moves through the Indian ocean right now, is quite safe because we have managed to get most of the pirates under control. No incidents were recently reported. But you cannot totally ignore the threat,” Parrikar said. He was speaking at the inaugural session of a three-day conclave on ocean security “Sagar – Discourse 1.0”, which started in a coastal resort in Goa. Describing oceanic security as a complex issue, Parrikar said apart from military strategies, countries in and off the Indian Ocean should seriously consider the increasing and very real threat of global warming. “There are a few island-states which may not exist if the current climate change continues at the same rate. 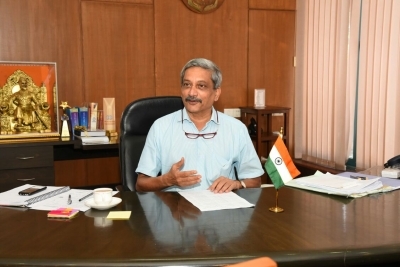 Ocean is rising quite rapidly, so this is going to threaten the coast of the big countries as well as threaten the island itself,” Parrikar said. “This is one threat for which we may not be able to come up with a direct solution, but we may definitely push for a better climatic solution,” he said. The conclave is also expected to deliberate on issues like climate change, fresh water and trade and commerce, among other issues related to governance.